Brenda McMahon is a nationally renowned ceramic artist who creates all her fine, burnished porcelain vessels by hand on the potter's wheel and uses raw clay to roll out her tiles and fires both in her outdoor gas kiln. These unique saggar fired porcelain vases & vapor fumed tiles are created from the heart and designed to bring beauty and joy to your home. Brenda's award-winning work is exhibited in galleries nationwide and part of private collections across the country. Each hand thrown vessel is surrounded in the kiln with a variety of organic materials, some of which affect the surface design while others provide the soft colors. 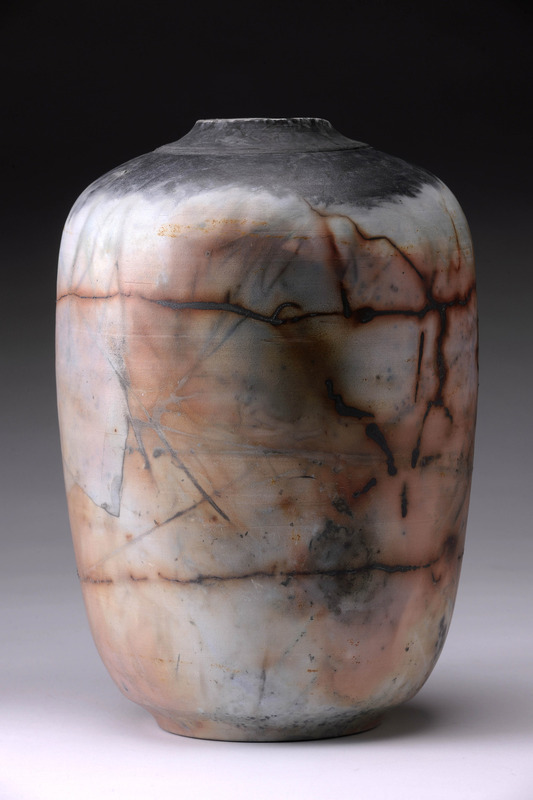 During the firing, the burning materials and fuming minerals yield a splendid combination of smoky blacks and grays with a palette of orange, salmon, pink and burgundy – all without the use of glazes. I call the abstract landscapes and cosmic imagery “fire paintings”. My sculptural wall art is inspired by a trip to Thailand where I traveled for 6-weeks in 2007. Two art grants got me to Southeast Asia where my “figurative expressions” came to life. I am entering the 20th year of creating hand made ceramic work and I am as inspired today as I was that first night my hands touched the clay. 2015 brings me to Italy for the second time in 2 years. 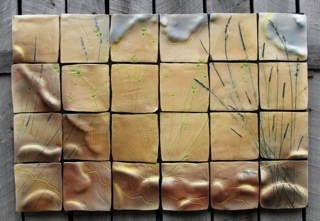 There I’ll teach ceramic workshops on creating dimensional wall art and paper pod saggar firing. My aspirations continue to take me overseas while my heart is rooted in the United States. I’m finishing up my first in a series of books; this one is a beautiful and inspiring handbook on my vessel work. Saggar Firing: Unearthing the Mysteries is due out in 2015. This will be my second year on the Tour, this time at a new location. I look forward to seeing you all again!